Set of TWO (enough to do the front fender on ONE bike) exact glossy white die cut replicas of the ones used back in the day on RC works Honda's and other factory bikes. 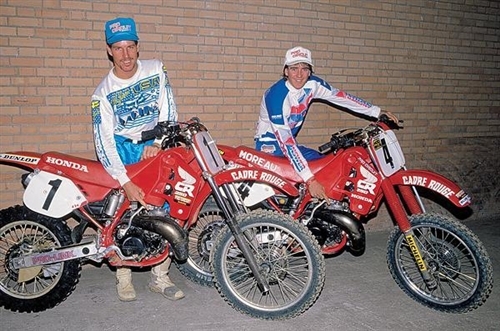 CADRE ROUGE was a French company that was a large Supercross / Motocross sponsor in the 80's. Perfect to finish off your works Honda replica. 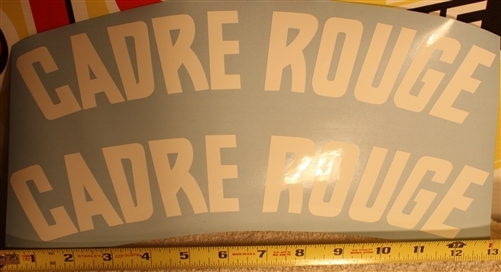 Shown without transfer tape, these will be shipped with tape on them for easy and seamless application.